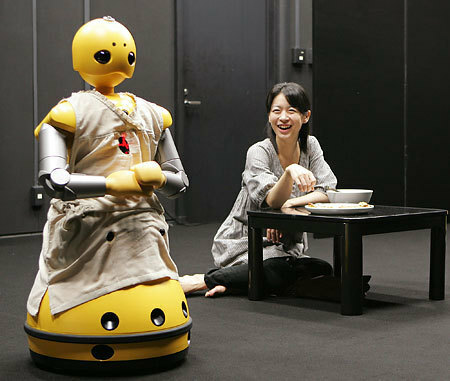 Thespians at Osaka University took the stage Tuesday for three performances in what has to be the world's first-ever play to feature an honest-to-goodness robot as one of the characters. The robot is Mitsubishi Heavy Industries' Wakamaru, who, if you live in Japan, is also available for rent [Japanese only]. "You say you feel unappreciated? Well, welcome to my world!"